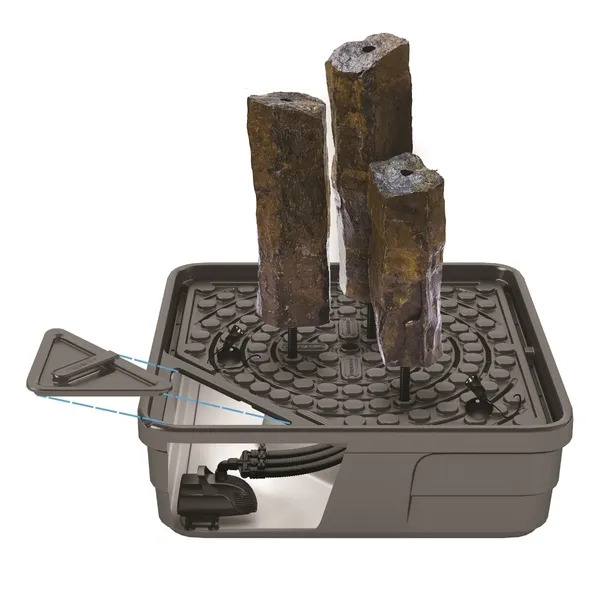 Mongolian Basalt Columns Set of 3 Landscape Fountain Kit - Aquascape, Inc. 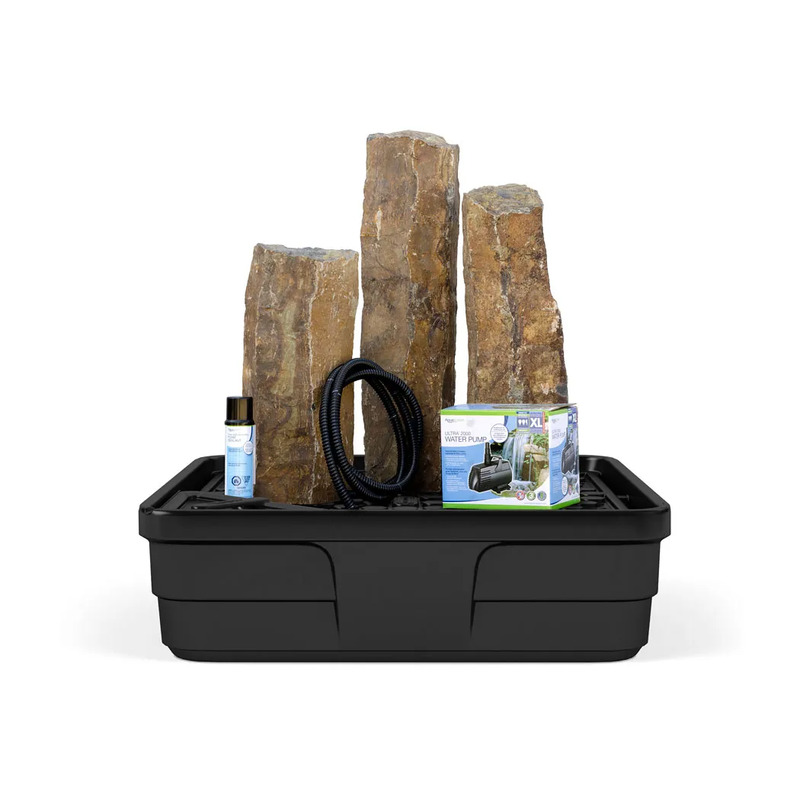 The Aquascape Mongolian Basalt Columns Set of 3 Landscape Fountain Kit bundles the perfect combination of products, providing a unique, easy-to-install kit which includes everything you need to create an impressive, recirculating, three-piece basalt fountain. Three columns are included, measuring 24 inches, 30 inches, and 36 inches in height. Each column is constructed of real Mongolian basalt, extremely durable, and crafted to provide a one-of-a-kind stone water feature. The included AquaBasin® 45 is a sub-surface water basin is able to store up to 98 gallons, minimizing maintenance significantly. Constructed of professional-grade, high density polyethylene and backed by a lifetime warranty, the basin will provide features and benefits that eliminate guesswork, improve water circulation, and increase accessibility. An extremely energy-efficient Ultra Water Pump is included to circulate the water through the fountain, and the included pipe, foam sealant and fittings makes installation easier than ever. Aquascape is passionate about the products we produce, providing unique products, designs, and features that stand above the competition.